September 18, 2018 – Cobourg, ON – Lakefront Utility Services Inc. (LUSI) is now the first Utility in Ontario to integrate their Mobile Application with their website, so they can better inform their customers while saving time and money. 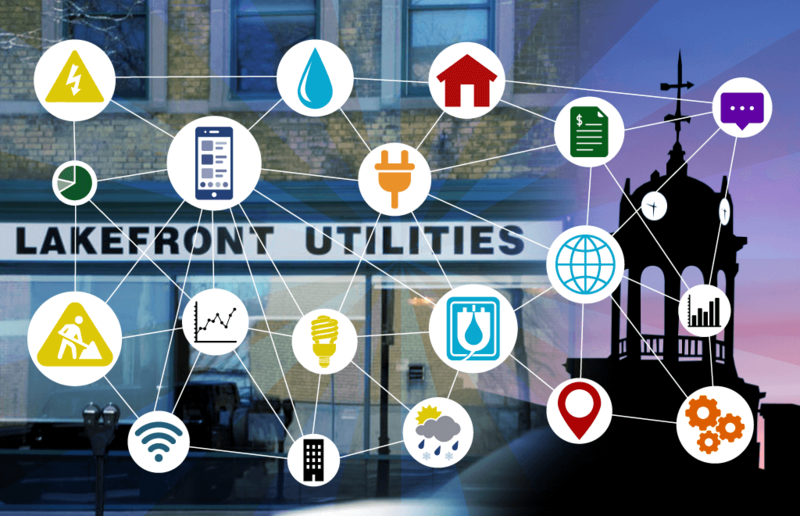 Last year, Lakefront, which provides their customers with electricity and water, and their partner, Screaming Power, created the first publicly available mobile solution that helps its customers understand how to conserve energy and save money. The app is also an outage management tool for anyone to use without having to provide user information. Once Lakefront’s customer registers with the application, it turns into a customer-focused app providing electric and water billing history, bill export options and more within seconds. In the time the App has been live, Lakefront and Screaming Power has been constantly improving the solution to meet new found needs of the Utility and App users. Lakefront is pleased to announce that Outage and Planned Work is now fully integrated with the App, the website and social media. This makes coordination of planned work and outages easier to manage and closer to real-time for the customer, independent of how they connect to Lakefront, whether it be through the App, website, or social media. “More Utilities need to think this way”, says Gary Michor, CEO of Screaming Power. “We have extensive knowledge of the energy industry and mobility. We love working with Lakefront and we encourage all Lakefront customers to download the app and help the community reduce costs while modernizing the marketplace”. In the summer of 2018, Screaming Power received a Smart Grid award from the Province to work with two other Utilities. This endeavour will provide Lakefront and the other two Ontario Utilities more opportunities to meet the Government’s goal to reduce utility costs to the customer. Through this Smart Grid funding, Lakefront and Screaming Power will be provided with additional features in the coming months that will help the Utility reduce its operation costs, and provide further innovation leveraging the Internet of Things in an effort to lower energy costs for customers. Screaming Power is revolutionizing customer engagement by providing a mobile platform that connects the energy user, allowing for effective and secure two-way communications to educate, change behaviour and encourage sustainability. Our extensible Intellectual Property provides a low-cost, digital infrastructure for a self-sustaining Eco-System. Our Scream Utility & Scream Enterprise mobile solutions focus on reducing ‘cost-to-service’ for utilities while driving satisfaction and facilitating the delivery of innovation (e.g., connectivity to the Internet of Things).